BTCpop's peer to peer lending is based on reputation, not credit score. Quickly get loans from other members or make some money by loaning money you have. You set the terms. You set the amount. Have the next great idea, but cannot get funding from banks or private equity groups? Let the BTCpop community fund your next business. Want to start investing in startups? We always have great startups launching IPOs eager for your investment. Exchange Bitcoin to Litecoin to Dogecoin and back to Bitcoin. We offer an easy to use service to swap various cryptocurrencies within the community. Many newer altcoins are moving to proof of stake verification. Put your coin in a larger pool to capture a smaller piece of a much bigger pie. And what is P2P banking? BTCPOP offers a unique P2P Banking experience with Instant Loans, Investment Pools, Collateral Tied Loans & More. We are constantly improving and developing our services. Unlike other companies we don't rely on 3rd party services. Your coins are stored in offline storage with only a small portion available via our hot wallets. Trade ALTcoins via our exchange. Trade Bitcoin (BTC), Litecoin (LTC), Dogecoin (DOGE), Blackcoin (BLK), and more today. Get P2P loans without having to deal with banks, funds, or loan sharks. How can BTCPOP help me? The advantage of peer-to-peer lending is that you are your own bank, so you don’t pay back any unnecessary fees. If you need money fast, our instant loans are perfect for you. BTCPOP’s instant loans start with an APR as low as 15%! Alternatively, BTCPOP offer custom loans. You can borrow anything from 0.01 BTC to 500BTC with the option to set your own APR limit, meaning you only pay back what you can afford. Struggling to get your business started? BTCPOP allow users to start an IPO (initial public offering). We believe that everyone deserves a chance. If you think you have a fantastic idea for a business but don’t have the funds to get it started, creating an IPO with BTCPOP offers other users the opportunity to invest in your idea, increasing the chances of making your dream company become a reality. How do I create an IPO? After you have submitted your IPO, it will be reviewed by a member of our team who will either approve your IPO, or will ask you to make some changes. Once your IPO has been approved it will then be listed for other users to invest in your new and exciting adventure! How do I contact BTCPOP? Bitcoin (BTC) is a decentralised, digital currency. It exists only online and is an easy way to send and receive money instantaneously. As bitcoin is decentralised, no one owns it – so there are no hidden fees to pay. All bitcoin transactions are recorded on a public ledger. Each transaction has a unique code, so your identity is kept private but your transaction is not. There are only 21 million bitcoin in the world, so the price of bitcoin varies on a daily basis. Researching further into the currency will keep you updated about the value of your bitcoin and the best time to invest, making sure you get the most BTC for your money. 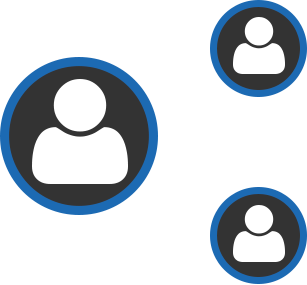 The BTCPOP referral scheme is designed to reward users for referring friends and/or family to BTCPOP. It gives you a chance to earn extra! BTCPOP allows all users to exchange a range of coins, including LiteCoin (LTC), CureCoin (CURE), Black (BLK) and more! Can i list my coin on BTCPOP? Yes you can! Head over HERE, fill out the form, and wait for us to contact you back. If we like your coin, we will list it on BTCPOP against a small fee. 2019 BTCPOP - We don't believe in Copyright, Use whatever you want. Registration is easy. Just fill out the registration form and you are in. By registering, you will be able to view all the things going on at BTCpop. When you are ready to participate, you will be required to verify your identity. This is a precautionary measure to keep scammers out and to protect the entire BTCpop community. We have sent an email to the address you provided. If you do not receive this email within 10 minutes, please check your spam folder or please try again. You are required to set a new password. Please enter your new password now. You are required to reset your security phrase.